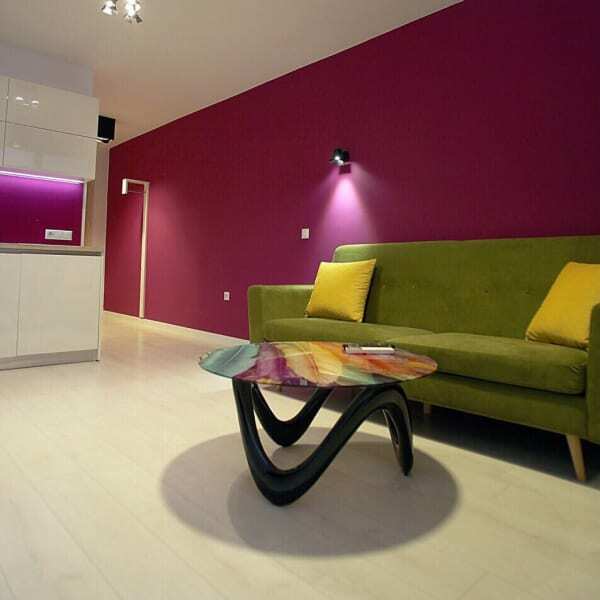 Set in Sofia, 2.6 km from Sofia Ring Mall, Turquoise and Magenta Apartaments features a terrace and views of the mountain. Tokuda Hospital is 2.6 km from the property. Free WiFi is featured . ​​​​​​​​​​​​​​All units are air conditioned and have a seating area. There is also a kitchenette, equipped with an oven, microwave and fridge. A stovetop is also available, as well as a coffee machine and a kettle. Towels and bed linen are provided. Car hire is available at the property and the area is popular for cycling. Arena Armeets is 3.3 km from Turquoise and Magenta Apartaments, while American Embassy Sofia is 3.5 km away. The nearest airport is Sofia Airport, 7 km from Turquoise and Magenta Apartaments. You can contact Turquoise through the Contact Host button on this page. If you've already booked, go to My travels.